Photography logo design. Calligraphy logo. Watercolor logo design. Feminine, pretty logo design. Branding, design, identity for business. 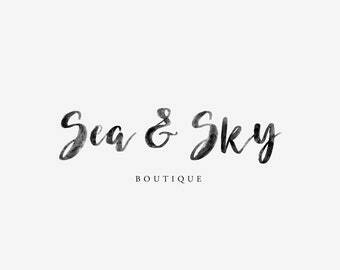 Sophia is a feminine, handwritten calligraphy, watercolor inspired logo design. This calligraphy inspired logo works beautifully for all businesses from photographers to boutique owners and looks equally gorgeous on printed materials for marketing and websites. This logo lets the pretty little things you create be the star of the show while giving your branding a modern, sophisticated feel. Upon purchase, you will have access to an instant download PDF document outlining the design process as explained below in "How It Works". 2. In 2-4 business days (M-F) you will receive a proof for your approval of your logo via Etsy conversation. 3. Once you let me know that everything looks perfect I will send you the link within 2-3 business days (M-F) via Etsy conversation for you to download your final files. 4. Enjoy your gorgeous new logo! • No substitutions are available for fonts, artwork, and/or design element placement. • Font files, stock photography and printing services are not included in the purchase of any product from my shop. Logo Design Branding for Photographers. Photography logo. Watercolor Logo design. Laurel wreath. Photographer logo design. Branding logo. Gold and Watercolor Modern Bohemian Geometric Triangle Logo Design for photographer, boutique, business. Blue and pink watercolor design. Floral Pre-Made Logo Design perfect for photographer, florist, and boutique owners. Modern, sophisticated, unique, feminine brand design. Sophisticated Floral Logo Design for photography. Photographer, Boutique, Designer botanical logo. Handdrawn illustrated logo and branding. 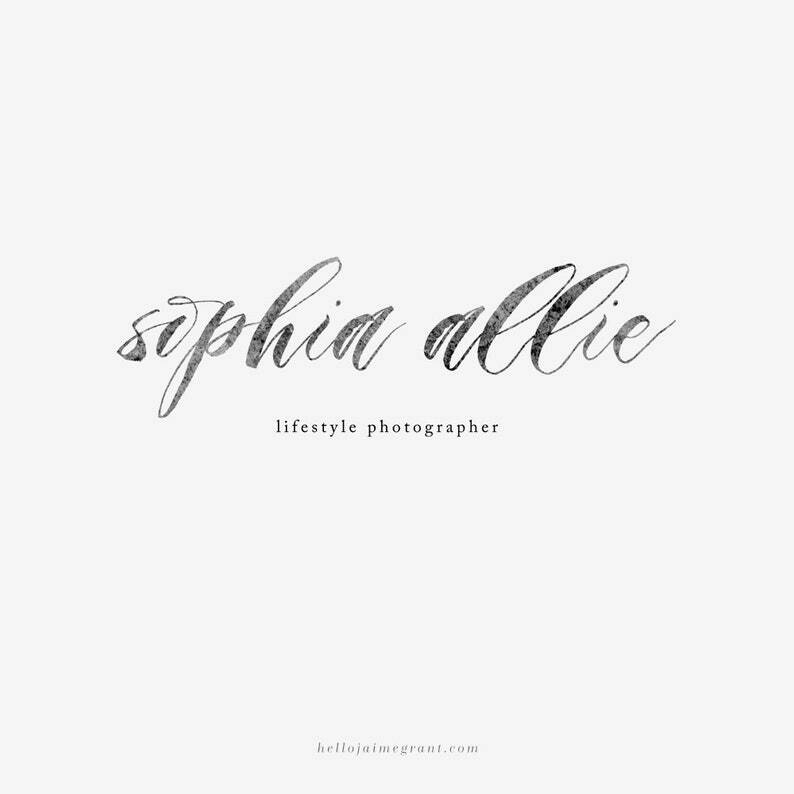 Brand design for Photographer Boutique Small Business - Premade Logo Design - Watercolor Calligraphy Handwritten Logo - Logo Design-"Sophia"
Feminine Floral Botanical Logo Design for Photographers and Weddings. Elegant, sophisticated, unique, hand drawn illustration design. Hand drawn floral botanical logo design. Modern, feminine, unique. Pretty branding for photographer, florist, boutique and other businesses. Modern template design perfect for photographers, social media advertising, marketing. Sale with brush lettering photoshop template.